By Jessica Rach. Original article from The Daily Mail UK. 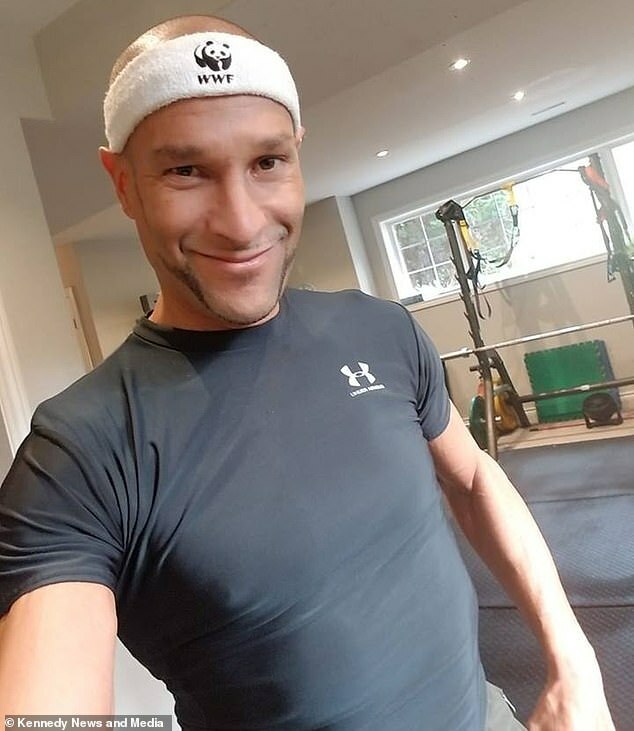 A former Mr Universe competitor has jumped from one extreme lifestyle to another – by refusing to eat anything during the week, and instead drinking his own urine. 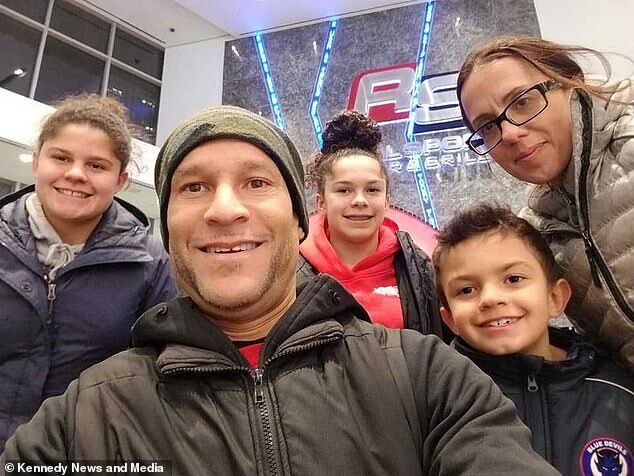 Father-of-three John DePass, 46, dedicated 30 years of his life to bodybuilding, but after developing chronic pain decided to overhaul his lifestyle three years ago. The weight loss specialist from Ontario, Canada, claims by firstly cutting out animal products, then all food six months ago, he has eliminated the pain he suffered on a daily basis. 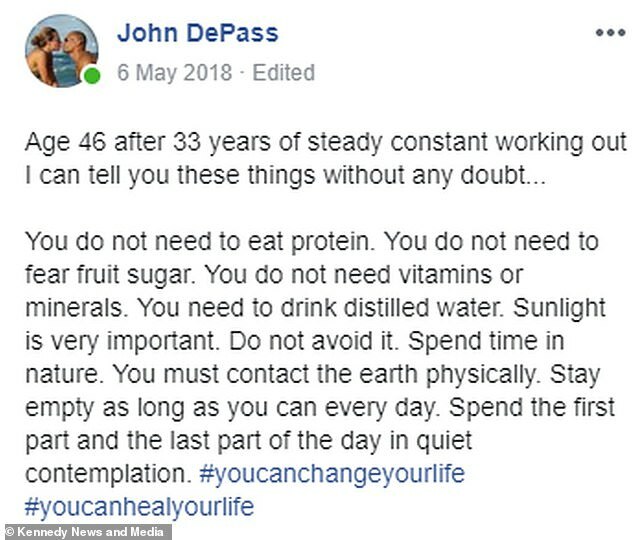 From Monday to Friday, John replaces food with urine and the occasional fruit juice, but at the weekend, he likes to indulge in one home-cooked meal of meat and carbs. Despite going from eating 5,000 calories per day, to fewer than 3,000 a week,he says his fruitarian lifestyle has only seen him lose around 30lbs (2 stone 2lbs), dropping from 180lbs (12 stone 12lbs) to betweeen 130lbs (9 stone 4lbs) and 150lbs (10 stone 10lbs). John now claims he feels enlightened and healthier than ever – despite his wife’s ‘disgust’ at his new drink of choice. Explaining his lifestyle, John said: ‘I call it “unfooding”. From Monday to Friday I don’t eat. He argued: ‘We can benefit from the antibodies that are present within it. It can help your immune system, digestion, provide amino acids, vitamins, minerals. It’s filled with high-quality nutrients for our body. Sharing his food schedule, he said: ‘On Fridays I have fruit and a smoothie, then on Saturdays I will reintroduce vegetables. 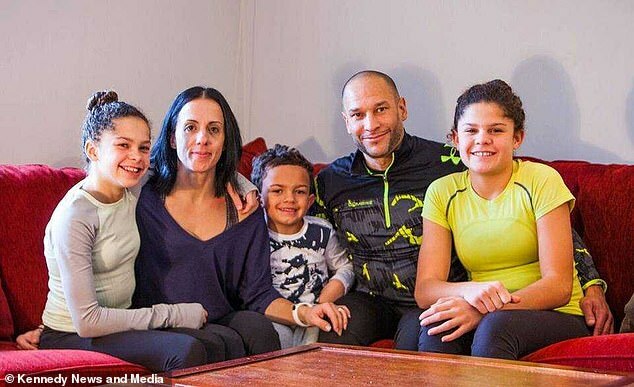 Despite his huge change in diet, John still values family meals and tries to eat with his children Michaila, 15, Sierra, 14 and Aniken, 7 once a week. Until six months ago, he hid his taste for urine – even from his wife Dora – for fear of being judged. John said: ‘My wife has gotten over her initial disgust, distaste and judgement of me, and has come to see how [drinking urine and unfooding] has benefitted my life. ‘Although she’s not joining me in a drink, she’s no longer being an additional resistance. ‘I was so afraid of the ridicule and judgement, the opinions of others, that it really held me back – even my wife and children didn’t know at first. ‘I would never push it upon my wife or my children though. I certainly wasn’t considering that when I was 14 or 15 like my daughters. ‘My 14-year-old daughter has been a little more open about it, but overall the kids aren’t too impressed. I would not have been proud of my father for drinking his urine either. ‘But my number one priority is that I’m a father and I want to interact with my kids at family dinner. 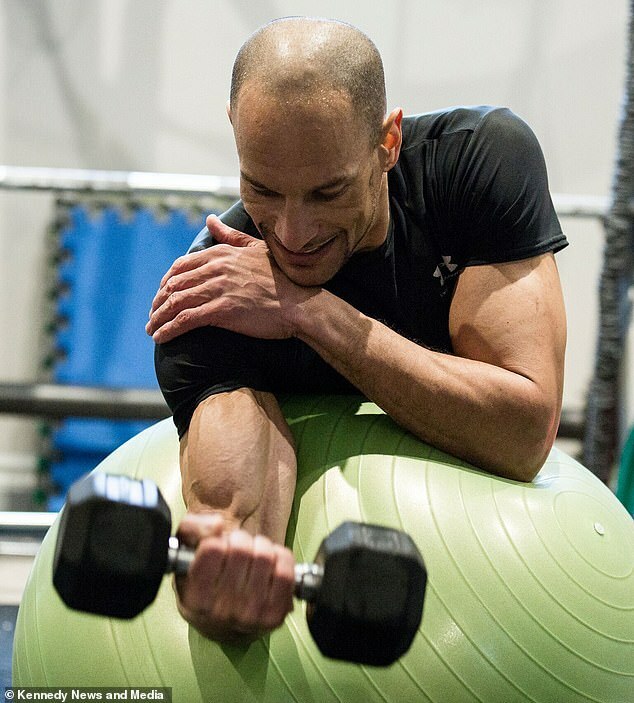 John had been training as a bodybuilder since age 19, but when he developed generalised pain and tiredness three decades later, he decided to look at changes in his lifestyle. 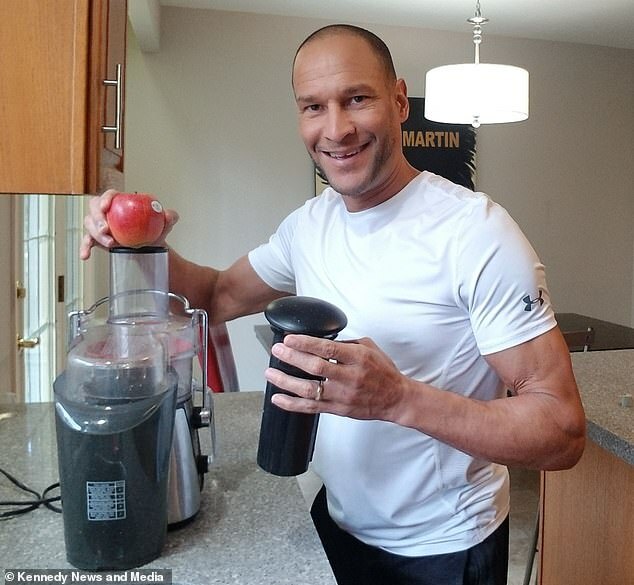 The Mr North America 1996 winner and Mr Universe competitor then vowed to leave his past behind and adopt ‘unfooding’ as a form of natural healing. John said: ‘I lived for 30 years focusing on building up the body and trying to increase size – consuming nutrients, vitamins, minerals. ‘After years of doing that consistently I noticed I was starting to have some symptoms that I had no explanation for. ‘I was having digestive issues, sleep issues, real serious pain in my body. ‘It wasn’t isolated – it would be Achilles tendon pain, neck pain, shoulder pain. It would shift from one space to the other. ‘I was exercising daily, keeping a positive mindset and meditating – why was I dealing with such pain and trauma in my life? I wasn’t that old. ‘I didn’t want to accept that it was just the aging process. ‘A couple of years ago I began to reduce my meat and noticed changes right away. The pain started to reduce almost within a day or two. John’s low calorie intake has reportedly made little difference to his weight, despite going from eating 5,000 calories per day, to fewer than 3,000 a week. In his twenties and thirties, he weighed 220lb (15 stone 10lbs) as he entered competitions worldwide, however after changing careers, he weighed 180lbs (12 stone 12lbs) as he stopped his intensive training. Miraculously, he claims his ‘fruitarian’ lifestyle has only seen him lose around 30lbs (2 stone 2lbs). John said: ‘As a bodybuilder I was an extreme size and stature from aged 19 to 35. ‘Between 35 and 40 I wasn’t bodybuilding any longer, I was a professional trainer, so I lost a lot of weight then. ‘Now, in my fruitarian and unfooding lifestyle, if I go five days without food or water I can be as low as 130lbs (9 stone 4lbs). Now a weight loss coach, John has a studio in his home where he sees clients. Although he has a unique diet himself, he tries not to introduce urine drinking when he first meets clients. John said: ‘I’m a weight loss coach so I do online and in-studio training. ‘Most of my clients are coming for weight loss and these things are all beneficial to weight loss, but I introduce them to people along the way. ‘I don’t tell people when they come in that they need to drink their urine or stop eating food. That’s not how I start people. Should you drink your own urine? Urine is made of approximately 95 per cent water and 5 per cent nutrients including calcium and iron. Fans of ‘urotherapy’- a term used to describe drinking your own pee, include Madonna. In 1945, John W. Armstrong, a British naturopath, published a book claiming that drinking urine could cure all major illnesses, however there is no scientific proof of this. Health expert Aisling Pigott, dietician and spokesperson for the British Dietetic Association, says urine contains toxins expelled from the body and kidneys and drinking it could therefore be harmful and cause infection. However Shona Wilkinson, head nutritionist at NutriCentre, says urine is not toxic and is sterile as it has been filtered twice – once by the liver and again by the kidneys. Followers claim it cures diseases when ingested and acne when used topically due to its ‘disinfectant’ properties, and it has been used in Ayurvedic and Chinese medicines.